Large Buddha erected in Flushing Queens in half sepia. 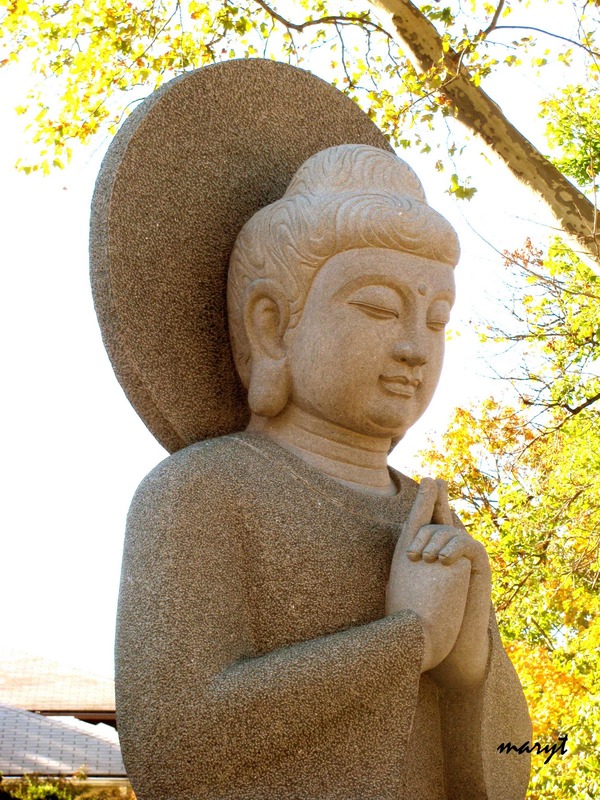 I was astonished to find this Buddha Gautama sitting in the garden of a home on Parsons Blvd. about one block north of Northern Blvd. Now I'm back again. Good image sharpness. But perhaps you had sepia in the whole picture. This soft and gentle buddha would definitely invite me to pause and reflect for a moment. Lovely picture. I like the yellow leaves in the background. Lovely shot but I would prefer 100% sephia. What a great meme. Thanks to Gemma I found you. All the posts are so interesting. One of the perfect symbols of peace perfect for today! I love your picture. It's so beautiful and the half sepia makes it look great. Have a great day! I love the half sepia!! I have a peaceful looking post today, also! !